We specialize in Sprinkler and Drip System Troubleshooting, Repair, and Installation and Landscape Lighting Design and Installation. When you live a busy life, it is hard to find the time to maintain your yard and especially your irrigation system. You can rely on us to take care of your watering system so that you can focus on the things that are important to you. Our company pays special attention to the details of every project to ensure the complete satisfaction of each client. You can trust that your Sprinkler and/or Drip System & Landscape Lighting will be operating at peak performance when we walk away. Living Water Irrigation installs and services two general types of irrigation systems: sprinkler systems and drip systems. Our sprinkler systems send large amounts of water out across your yard to water the whole area. Drip systems are perfect for flowerbeds, shrubs, and trees because they deliver water right to the base of the plants. After we've installed or repaired your irrigation system, we can also install landscape lighting so you can show off your beautiful, lush landscaping. Your satisfaction is our priority and we take pride in our work. We are prepared for just about any Sprinkler and Drip System & Landscape Lighting needs and will complete your requested tasks in a timely manner with detail and precision, and at a price that is competitive. Our experts at Living Water Irrigation will help you decide which sprinkler system is right for your property. We’ll map out the zones for you and help you understand how your system works. Our team will always be forthright with you and are happy to answer any questions you have. We’ll advise you every step of the way to give you the perfect sprinkler system. Living Water Irrigation is bonded, insured, and licensed. We also have seasonal offers like sprinkler inspections, so be sure to ask us about any promotions we’re running. 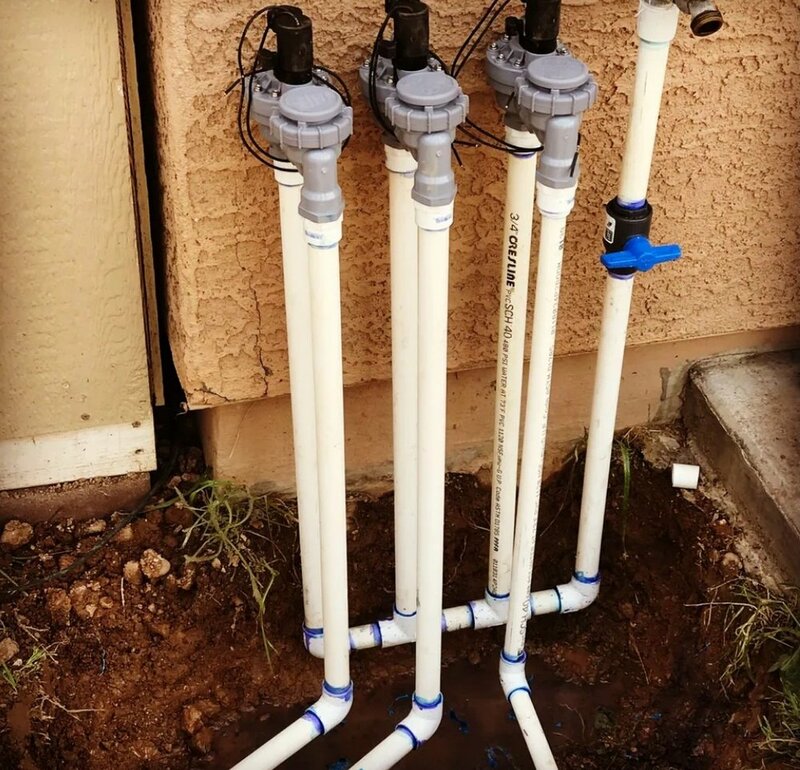 To have us install or service your system, fill out our contact form at the bottom of the page, or give us a call at (623) 299-2996.